As a teenager, my life-long friend Ian Williams introduced me to the art of leather work. We would spend hours just hanging out, creating works of art. Some of those creations were strictly leather, and others were beaded leather based on the American Indian art of beading over leather. 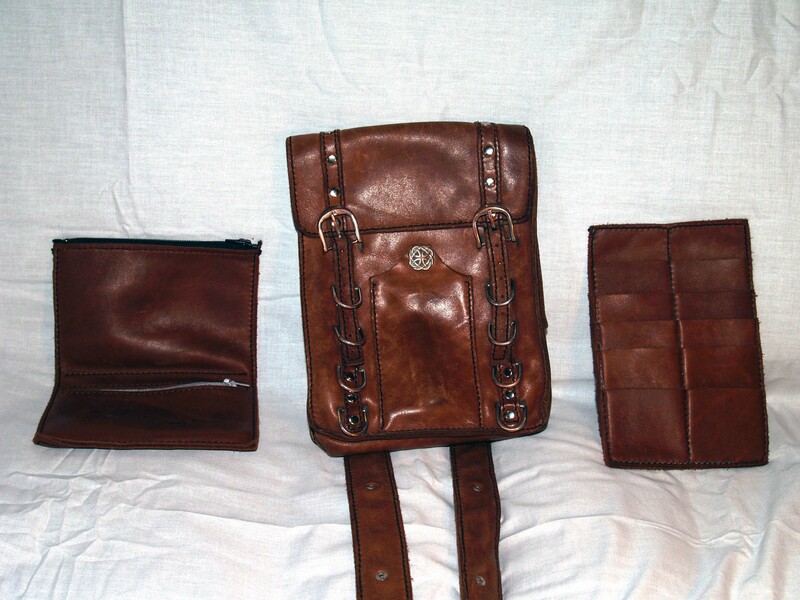 In the winter of 2015, I got it into my head that I needed to dust off my leather work skills and build my wife an amazing Christmas present; a custom, hand-stitched, leather purse with matching credit card holder and coin purse. So one day after work, I headed to Tandy Leather to stock up on tools, leather, and hardware. 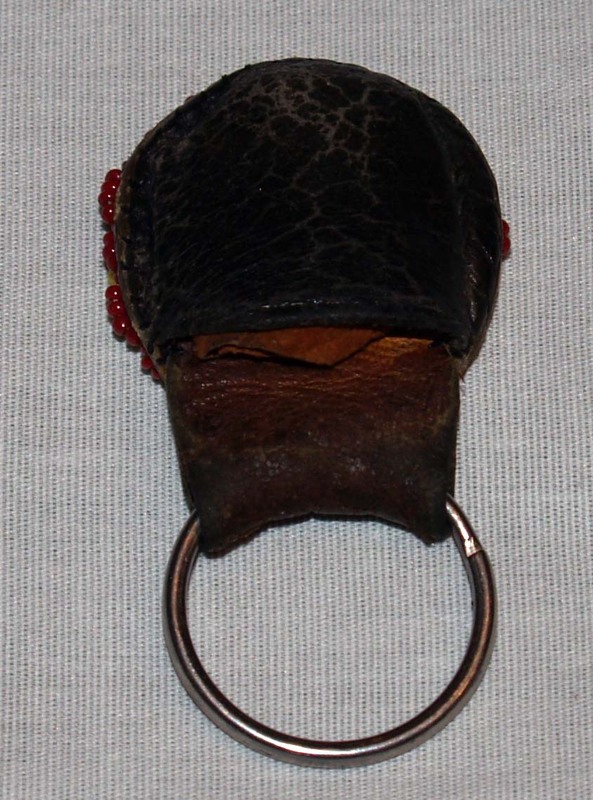 I then spent a few weeks of my spare time designing, cutting, and hand-stitching the purse you see below. 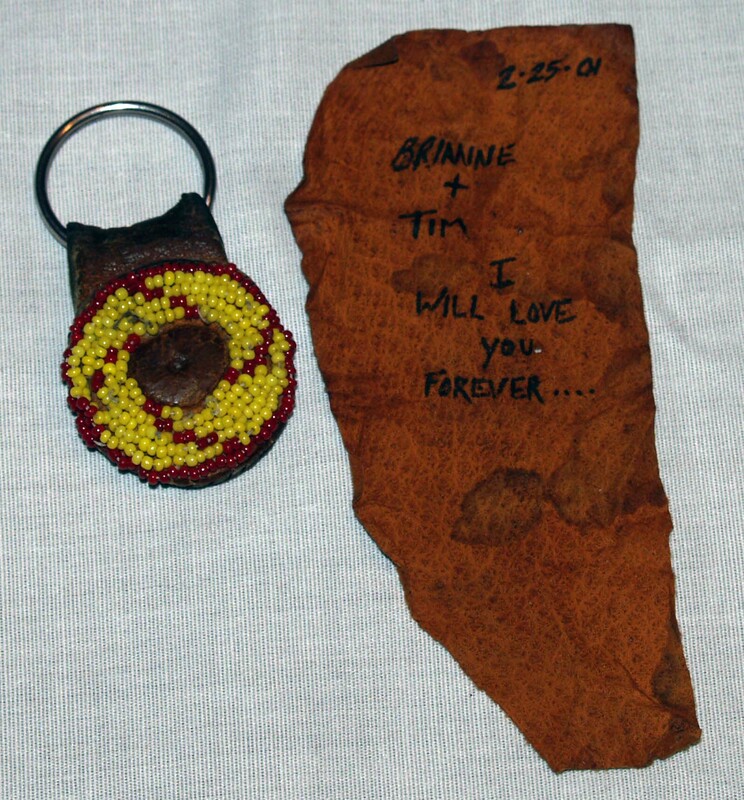 Below are some examples of beaded leather work I did at the time I met my beautiful wife Brianne (Bree). The first example is a beaded bookmark I made for Bree while we were dating, that eventually turned into a rearview mirror ornament. The beaded keychain is a gift I created for Bree for her first birthday after we were married. 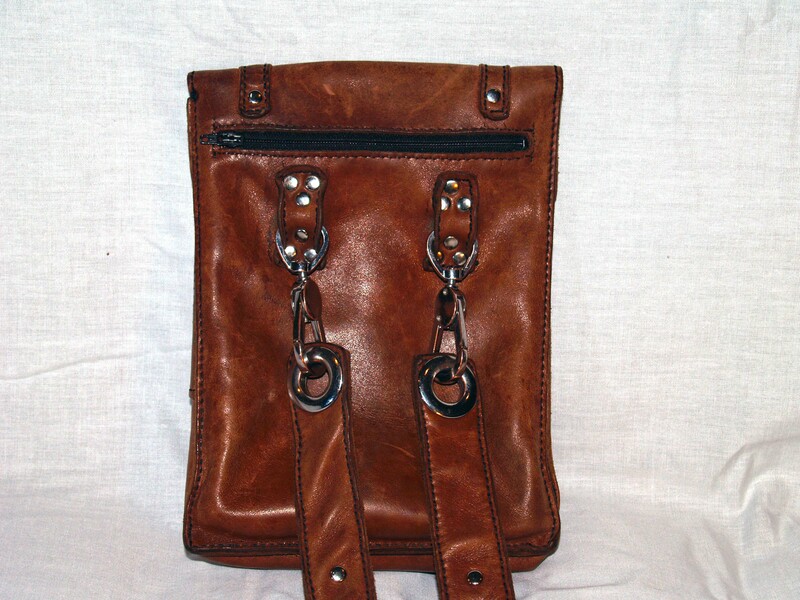 It has a secret pocket/pouch on the back that holds a leather love note I wrote to her. It is well loved and she has used this keyring for the last 17 years, as you can tell by the wear it shows in the pictures.